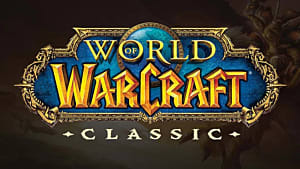 Gear up, Horde and Alliance: the latest expansion to World of Warcraft, Battle for Azeroth, has been announced for release on (or before) September 21. 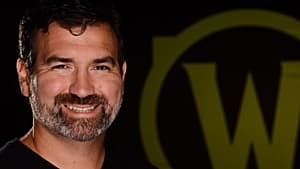 Although it was announced at BlizzCon in November, Blizzard Entertainment recently released some new details about the expansion. 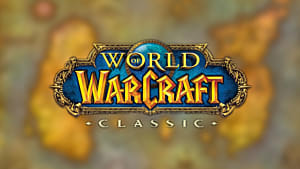 On top of that, the preorder for Battle for Azeroth was also released, allowing players to prepurchase the normal and deluxe editions of the expansion through the player store. With the preorder, players will receive two exclusive mounts. One is a steed for Alliance players based on the new zone of Kul Tiras, while the other is a Horde raptor from the zone of Zandalar. 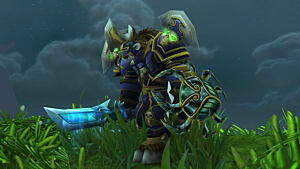 Players will also receive a new pet, a small turtle known as Tottle, as well as early access to the four new Allied races: Nightbourne, Highmountain Tauren, Void Elves, and Lightforged Draenei. 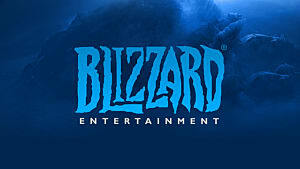 Finally, players will get a free 110 boost for any character and other in-game items for other Blizzard games. 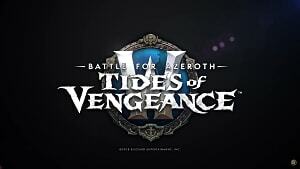 In Battle for Azeroth, you will explore the new conflict between the Alliance and Horde in the wake of the Legion's defeat. The Alliance returns to Kul Tiras, the naval power behind the Alliance in the First and Second war. The Horde will seek out an ancient civilization, the Zandalari Trolls, for their naval that equals and possibly surpasses Kul Tiras. 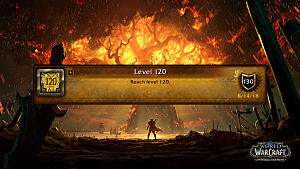 Level to 120 and explore new zones and raids in the next installment of World of Warcraft. 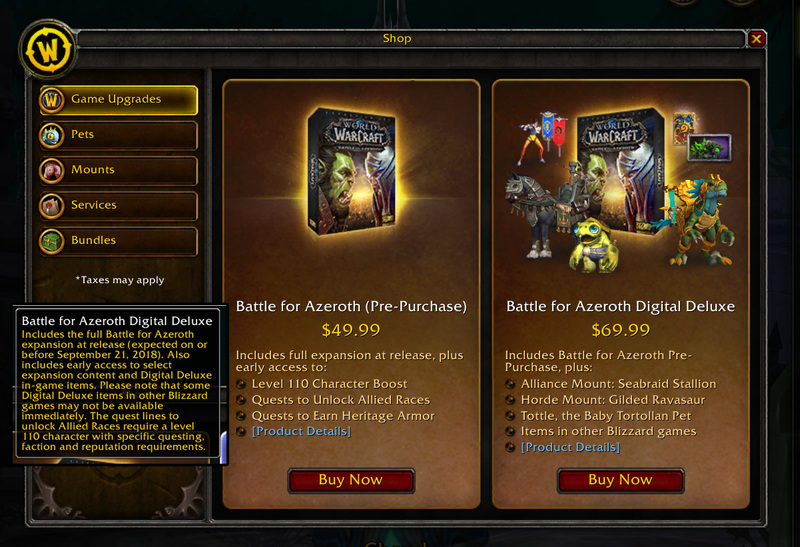 The base edition currently costs $49.99 and the deluxe is $69.99 in the in-game store. 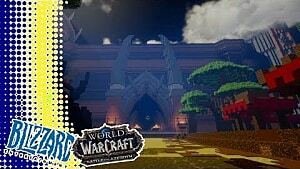 Grab your loot and prepare for war as Battle for Azeroth looms. 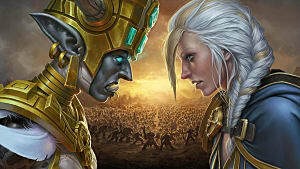 Stay tuned to GameSkinny for more World of Warcraft news.